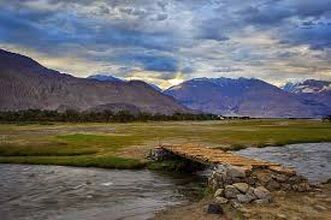 Drive by car from Leh to Chalungdo which is a pleasant drive along the Indus & takes only 4 hrs. 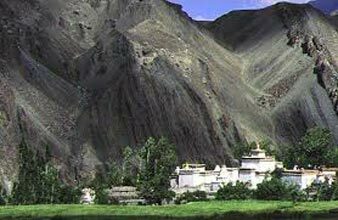 On the way one can stop at Chumathang, famous for its Hot Springs considered to have medicinal properties. 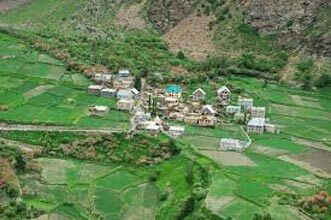 The village of Chumathang is located 2 km further west from the Hot Springs with a small monastery. 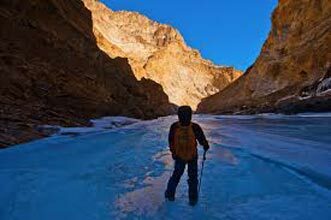 3 km behind Mahe Bridge on the way to Tsomoriri and Tsokar one can find several Camping grounds at the river Paldong at an altitude 4200m. Overnight in Camp. Day 2: : Trek Chalungdo to Doksa, 3 hrs. As this day is not too long for not sleeping in too high altitude, one can take it easy in walking uphill. First you can find a lot of little bushes, but this type of vegetation gets the rarer the higher you climb. One follows a small river and finds many opportunities for camping. We recommend one at a doksa at an altitude of 4775 m on the right side of the valley, a beautiful place from where one can have a walk into a side-valley. Overnight in Camp. Day 3: : Trek Doksa via Lungmar-la (5390m) to Camping site, 7 hrs. One has to follow the river higher and higher. The landscape becomes wider and the "real Changthang-feeling“ arises. On the way to the pass the river stops running and one has to climb up to 5390m on the Lungmar-la pass. From there the view is breathtaking. 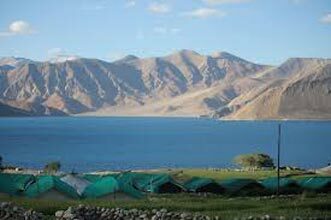 On the right the show-covered peaks of Chalung, Changser Kangi and Lungser Kangri rise high in the sky, far away one gets a glimpse of the lakes of Kyun Tso and towards Tibet to the for-bidden parts of the Changthang for Westerners. The downhill is quite steep in loose sand so the other way round wouldn't be a nice option. But from this side it is fun to sometimes jump down towards a small gorge. 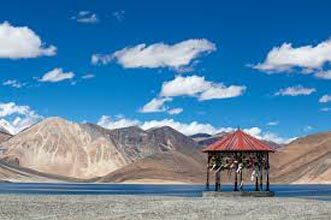 In the upper part of it, at 4.820 m, is the only place with some water, which can be used as a camping ground. So don't walk too far! Overnight in Camp. 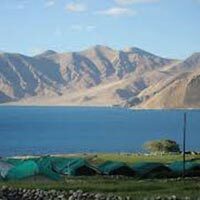 Day 4: Trek Camping to Nidder, 4 hrs. Today enjoy an easy and beautiful walk down, sometimes in the gorge, sometimes on the plateau left to it. At the bottom at 4390 m one reaches the big valley and can see a rough road on the opposite side. But up to the small village of Tsongkar Karu on 4265 m it is better to stay on the left side. Tsongkar Karu has 16 houses and a small school. Walking for another half an hour brings us to Nidder, a slightly bigger village with a middle school and a monastery. There is a road up to Chumur (forbidden for western Tourists), but its very rare that any cars go there. The Camping site in Nidder is a beautiful meadow just before the village. Overnight in Camp. Drive back to Leh. 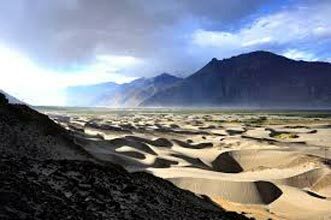 Explore the Leh Market and shop for souvenirs for your near and dear ones.